TheatreWorks thrives on developing processes, creative partnerships and artistic risk-taking. One of these processes that has gained international influence is the Flying Circus Project (FCP) first conceived by Ong Keng Sen in 1996. The FCP is a long-term programme exploring creative expression in Asia. Its focal points are individual creative action, encountering difference and strategies of art practice, emphasizing the tenacity of local sites – with their artists, activists and public intellectuals. The FCP is curated around the central notion of “world creating”, how do we form new micro-worlds, which are responsible, articulated and ethically engaged? The 8th Edition of the FCP was in Dec 2012/Jan 2013 and was sited in Myanmar and Singapore. 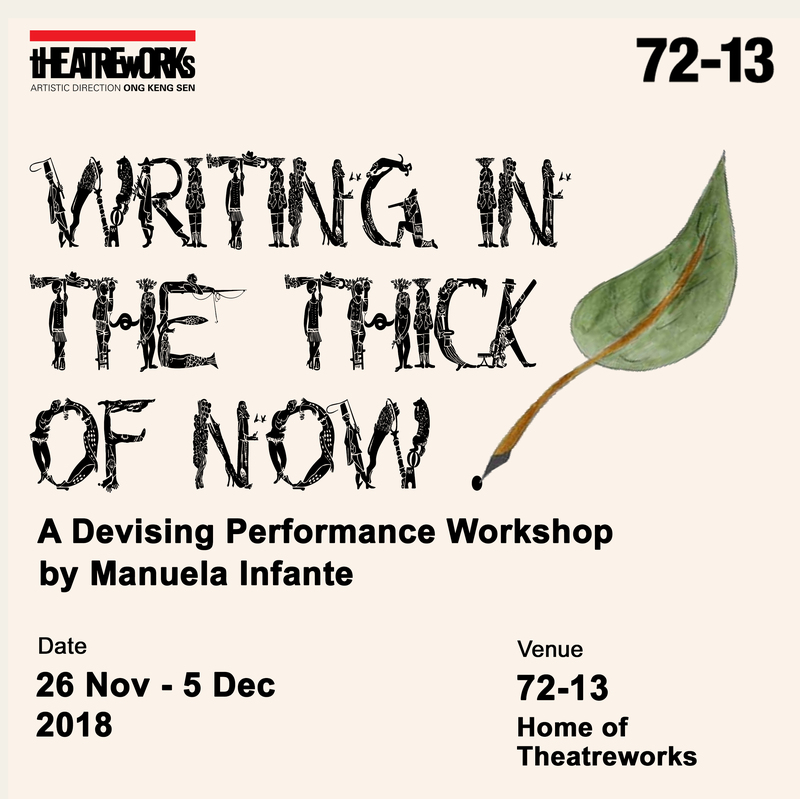 TheatreWorks is committed to developing and nurturing professional arts skills by providing residencies to mid-career artists as well as Research and Development programmes to a variety of artists, creatives and cultural workers using 72-13 as an incubator and laboratory. In addition, TheatreWorks also encourages new writing through The Writer’s Laboratory (established in 1990) which organizes the annual and popular 24-Hour Playwriting Competition since 1998. TheatreWorks is distinctly the only performing arts company in Singapore involve in capacity building in Asia as well as steadfastly building a dialogue and bridge in Asia and Asia’s interface with the rest of the world. Since 1999, TheatreWorks hosts and manages the Arts Network Asia (ANA). ANA has been a unique networking and grant-giving body for intra-Asia collaborations in multiple disciplines, encouraging mobility within Asia as well as developing managerial skills in Asia. It pays attention to the diverse perspectives of a global Asian urban metropolis and the multiple contexts of everyday life in Asia. With The Continuum Asia Project and Mobilising Arts Communities, TheatreWorks capacity-build in Laos, Vietnam and Cambodia respectively. The CAP helps to preserve the rich cultural heritage of Asia by reviving dying traditional art forms. TheatreWorks is assisting the Royal Ballet Theatre at Luang Prabang to revive the Laotian Ramayana. The MAC, on the other hand, serves to link artists and local communities through capacity building and harnessing skills of participating artists in Vietnam and Cambodia. Visit these websites for more details on TheatreWorks www.theatreworks.org.sg, 72-13 www.72-13.com, and the Arts Network Asia www.artsnetworkasia.org.